During the San Diego Comic-Con a new trailer for The Hunger Games: Catching Fire was showcased and it found its way online thanks to Yahoo! Movies, as promised. And guys, this is by far the most heart-wrenching, and moving trailer of the movie. The story thickens and the conflict heightens as the Quarter Quell is introduced once again on the 75th Annual Hunger Games. Hope is about to come for the unfortunate citizens of Panem Districts, but they may have to pay a high price. 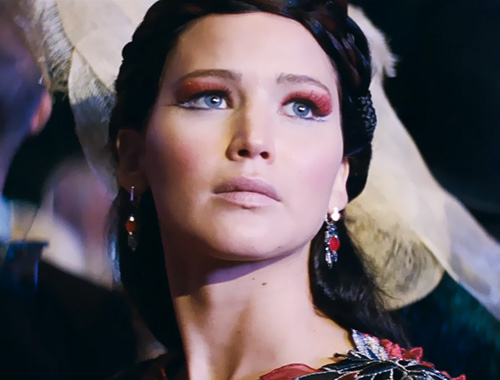 Watch the full glory of the new The Hunger Games: Catching Fire trailer. A new still has surfaced as well, it features Sam Claflin as Finnick Odair, offering Katniss a cube of sugar. Katniss Everdeen has returned home safely after winning the 74th Annual Hunger Games along with fellow tribute Peeta Mellark. Winning means that they must turn around and leave their family and close friends, embarking on a "Victor's Tour" of the districts. Along the way, Katniss senses that a rebellion is simmering, but the Capitol is still very much in control as President Snow prepares the 75th Annual Hunger Games (The Quarter Quell) - a competition that could change Panem forever. 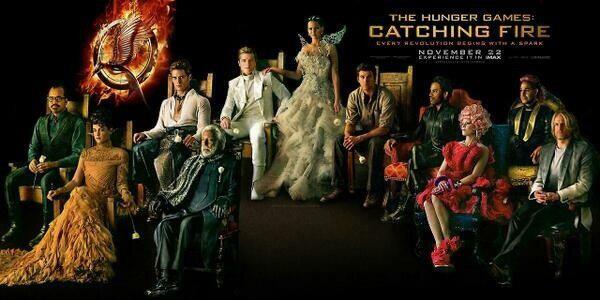 Watch The Hunger Games: Catching Fire in cinemas on November 22, 2013.